While it is extremely early on in the process, it appears that Warner Brothers are indeed developing a third film in the series. A number of media outlets have done some digging after a recent Market Saw report pointing to a all CGI sequel. While no names have been confirmed, it is true that the project has legs. 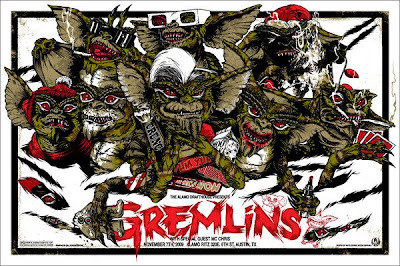 The downside to the current news is since 2006 Gremlins director Joe Dante believes he won't have any part in developing a third film. Being a die hard Gremlins fanatic, it is pretty hard to get real excited about a project that is housed in mystery. With no writers, directors, producers named how could anyone be. Furthermore, abandoning puppets and going to all CGI does remove a good portion of the nostalgia. G.I. Joe 2 Writers Hired!